I love when things are convenient. 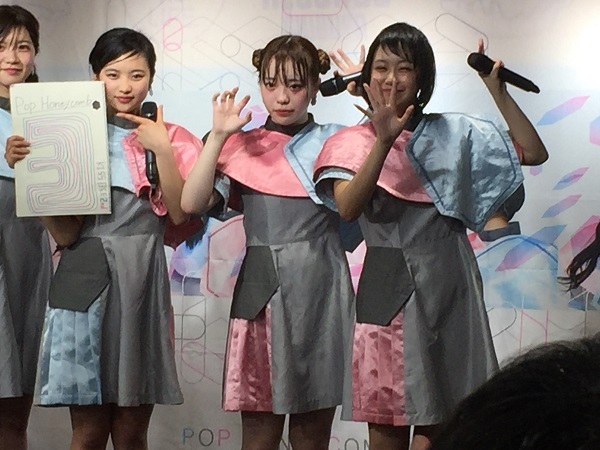 If you read my last couple of posts, both Wasamin and Minyo Girls appeared at the same mall on the same day this past Sunday, making for a fun and tiring mini-live quadruple-header with my favorite singer, and one of my favorite groups. So when I noticed that both KissBee and FES☆TIVE were performing at Tower Shibuya on the same day, I couldn’t pass up another great opportunity. Not only was I getting “2 for 1,” but I was also getting to see FES☆TIVE’s new lineup for the very first time. Of course I was also going to get a little facetime with both Misaki-chan from KissBee and Hinarin from FES☆TIVE. That’s a big plus since I know they have noticed that I have not been coming to their lives nearly as much as before. 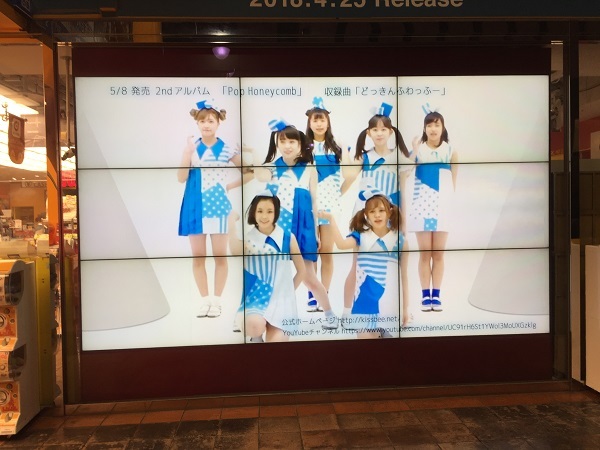 This is the release week of KissBee’s 2nd Album, Pop Honeycomb. I made it up to the 4th floor of Tower Records, but not before I was “greeted” by the group on the big video screen in front of the store. The event space was totally packed, and their was a huge queue to buy CDs. I looked around for copies of their new album, but all I saw were their old singles for sale. WTF? This is release week, isn’t it? Moreover, most of the people in line seemed to be buying the group’s old singles. I decided to instead find a spot to watch the show, and worry about the CD later. I was jammed in the back, and couldn’t see anything. 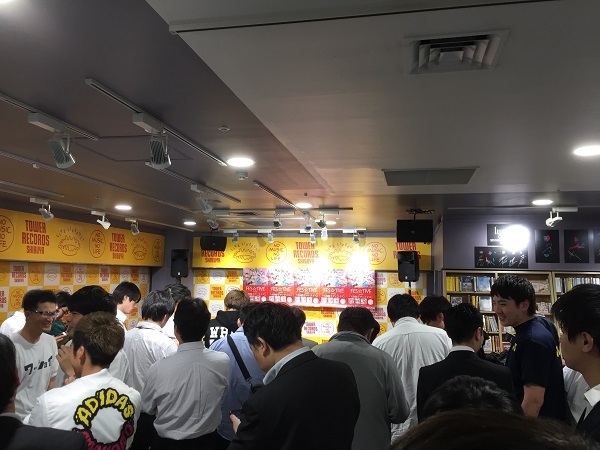 However, KissBee ropes off a section for people who wish to photograph the event. (Personally, I hate that they do this, and I think a couple of the guys who do the photography are inconsiderate) I noticed that the photography section was only half full, so I bee-lined my way over to that section and got a spot just inside the roped off area with a partially obstructed view. This was much better than where I was before. KissBee came out for their usual mic check and rehearsal performance. Misaki-chan eventually spotted me and gave me a little smile and nod. Most of the songs they performed were from the new album. My favorite has to be the first track LOVE Sugite Shibo~tsu! 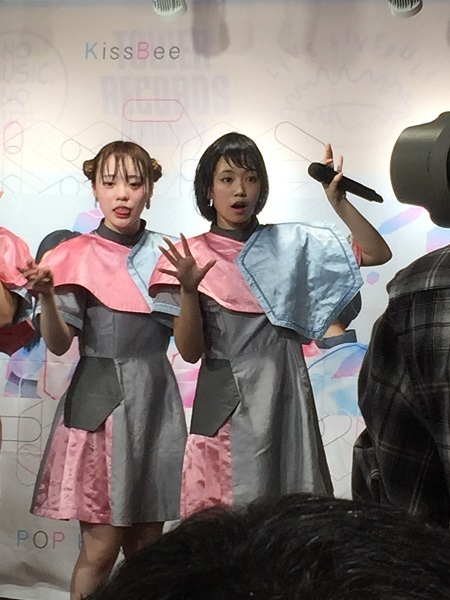 The other two album songs they seem to be promoting, OKAWARI Paradox, and Kare Ki ni Hana wo are also very nice. Ultimately they did a six-song setlist, with a couple of their older songs tossed in as well. In one of the final MCs of the set, Sakura-chan announced that the album took 1st on the Oricon Daily chart, so the members were all very happy. They ended the show with their usual janken for prizes, which I have never won. Then the photo-op. Luckily most of the fans in front kneeled down for this (except for those camera dudes I mentioned before) I decided screw it, since I was on the side anyway. I basically stayed upright and got some decent pics, even if I wasn’t very close to the stage. I love as part of their gimmick they all make goofy faces during this segment. Once the show ended I went straight toward the registers. Their wasn’t a line yet, and I asked if the new KissBee album was behind the counter (it was) I quickly got my copy (as well as an upgraded version of my Tower ponta card) and was able to lineup for the free High Touch. When I got to Misaki-chan she kinda squealed my name much the same way Wasamin always does. Cute! 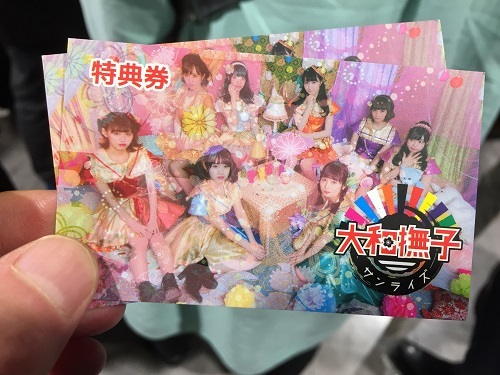 As for benefits, the general rule on release events is 2 tickets for an unsigned cheki, and one ticket for a handshake where you can get something signed, either the cheki, a photo provided by the member, or on this day the CD. 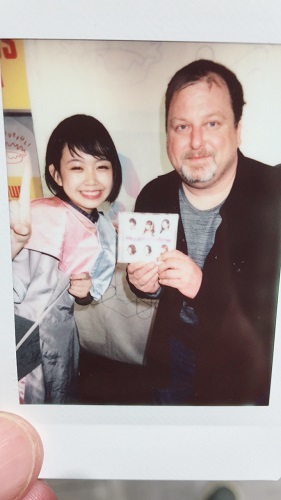 I chose to do the cheki and have my CD signed. While I was talking to Misaki-chan, I was asking her about the new tracks on the album. I knew which songs in the show I liked, but I didn’t know which one’s they were on the CD, so she pointed them out to me. It helped that the song I really like came over the PA just as I was asking, and she was like “This one?” while pointing to the ceiling. Anyway, I got my Misaki facetime, and my signed CD and cheki. I decided to bail out of Tower Records for a while since it was hot in the store, and I was really thirsty. 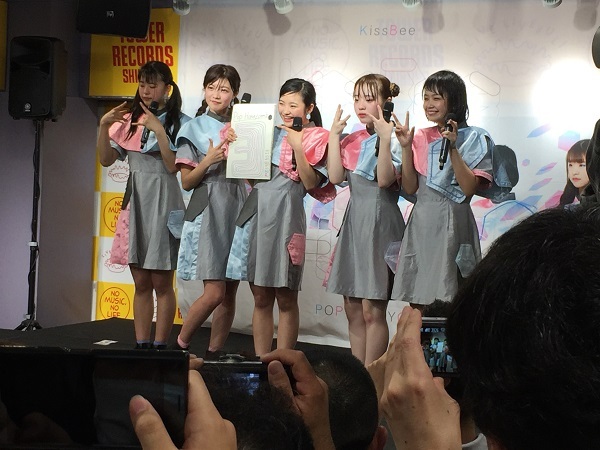 So while KissBee was promoting their new album release, FES☆TIVE was doing a preorder event for their 7th single, Yamato Nadeshiko Sunrise, which comes out in two weeks. Now the last time I saw FES☆TIVE was one of the last performances of their old lineup before three of their original members graduated. Since then they have added three new members, and based on their official pics all three of them are extremely cute. 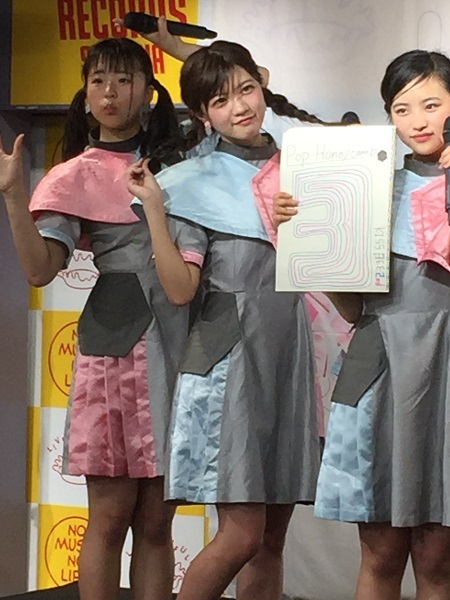 Especially Doko Ruriko, who happens to be Hinarin’s cousin, and a former member of Tokyo Cheer2 Party. While there was a point where I was wondering if I would be cutting ties with this group after so many graduations, I must admit that the new members have really energized the group, and me as a fan. The group came out for a non-song mic check. I immediately started checking out the new members since I wanted to see what they looked like in person. The first one who noticed me was Ruriko, who immediately pointed at me and started whispering something to Hinari. And BTW, of the three new members I thought Ruriko was by far the cutest. The other two were cute too though. FES☆TIVE did a quick 4 song setlist with no MCs, aside from a short member introduction at the very end. 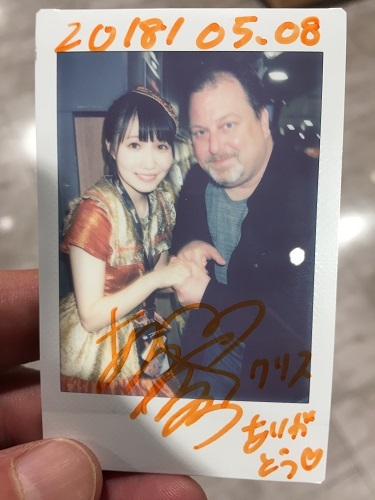 It turned out they were trying to rush through the event since Tower had put a time limit on it, and I guess Saria could not do chekis after 10pm? So after the show ended, everyone queued up, and Saria almost immediately came out to handle her cheki/handshake line. It wasn’t until around 5-10 minutes later that the rest of the group came out. The system was quite simply one ticket for a handshake, 2 tickets for a signed cheki+handshake, or three tickets for a 30-second video+handshake. 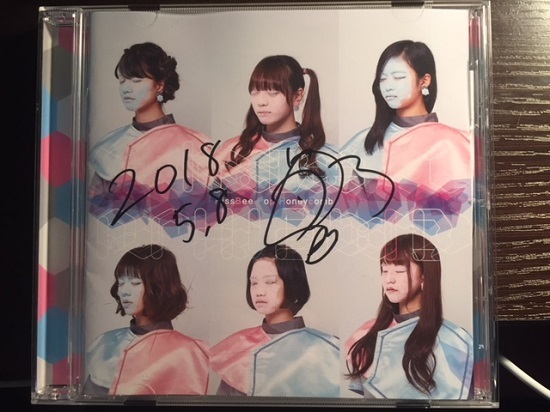 I preordered 2 CDs, and despite the cuteness of the new members, I used them for a signed cheki with my “go-to” girl Hinarin. I love that Hinarin gets really touchy-feely with me when I visit her. I told her that I love the new members, and they are all extremely cute. Now on one hand, you might think Hinari would get jealous about that. But Hinari was extremely worried when Koto, Yuna, and Miki graduated. It is obvious that she LOVES being in FES☆TIVE, and I think she is relieved that the fans like the new members. I noted that she now has family in the group. (I didn’t know the word for cousin) She told me Ruriko was her itoko, I countered that in English we say cousin, which she repeated back to me. I also mentioned that I really liked the rock and roll style song they performed. Of the four songs they did, I only recognized one of them. I’m not sure if the rock-style one was the new single or not, but she seemed to get really excited when I said I liked it. Finally my time was up, but it is nice that they give you a fairly long time to talk with each member. And with that it was getting close to 10pm, so I took off after thanking the group staff. I’m not sure if I will be getting to see wither of these groups again this week. 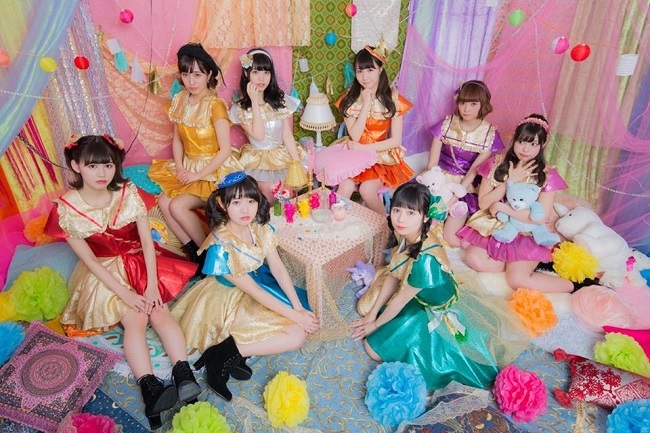 FES☆TIVE is scheduled to perform twice at Tower Shinjuku tonight, while KissBee is back in Shibuya at HMV Modi. Technically, I could go to both. But the question is whether or not I want to. We’ll see. In the meantime, I spent the rest of the evening tweeting photos from the event, as well as Minyo Girls’ event on Sunday. The cool thing is that a lot of KissBee’s members react when you post pics of them. I got likes from almost all of the members, the manager, and couple of KissBee West members, and even a “Thank You” reply from Misaki-chan. Yes, idols are awesome!